This DIY Lemon Scrub scrub is so fabulous, you guys! I love what it’s done to my skin! It’s become my little pampering treat that I look forward to each morning. This scrub is my new favorite and I can’t wait for you to try it, too! A few months ago, I took a trip to visit my mom. We don’t live in the same state and I only get to see her every few months. As soon as I saw her, I couldn’t help but notice that her skin was different than the last time I saw her. A really good kind of different. It was super smooth and so radiant! She replied that she’s using my coffee bean face oil (Find my easy recipe HERE) and a homemade lemon face scrub every day. She said that it’s a winning combination and it’s made quite a noticeable difference in her skin. 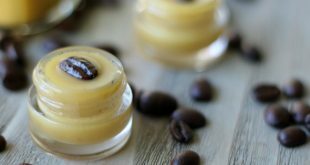 I already use the coffee bean face oil (which I absolutely love and swear by), but I needed to hear more about this DIY Lemon Face Scrub that she was using! She let me try it and once I did, I was hooked. That Lemon Scrub gave me an, I-kid-you-not, instant glow and smooth as butter skin. Plus the smell of it was so uplifting and bursting with lemony fresh goodness. Love, love, love! 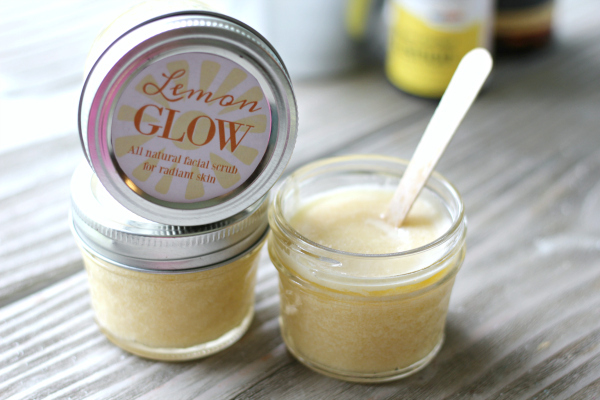 As soon as I got back home, I whipped up some of her lemon scrub recipe and I’ve been using it on my face ever since. I call it Lemon Glow because it truly gives me an instant glow that lasts all day and makes my skin look so radiant and healthy. Lemon Essential Oil is well known for its skin rejuvenating properties. When applied consistently, it helps dramatically increase the luster of dull skin. Be sure to look for steam distilled lemon essential oil whenever using lemon essential oil in body care products. Unlike cold pressed lemon essential oil, the steam distilled variety is not photosensitive. I use THIS steam distilled lemon essential oil. 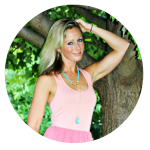 Argan oil is one of my very favorite anti-aging facial oils…I’ve been singing its praises for years! It’s one of the most popular and sought after oils for anti-aging because of its ability to repair and regenerate damaged skin tissue, diminish the appearance of fine lines and restore skin elasticity. Argan Oil is even well known to make dull complexions glow! This oil is wonderful for all skin types, even those who are sensitive or prone to breakouts. For best results, look for cold pressed argan oil. I love and use THIS argan oil. Coconut oil is rich in antioxidants that protect the skin from premature aging. Plus coconut oil contains healthy fats that deeply nourish the skin. To get the most bang for your buck and the very best results, look for cold pressed, unrefined coconut oil. I use THIS coconut oil. You can also find it at most grocery and health food stores. Wait, what….sugar is good for the skin?! I normally try to avoid sugar so it came as a surprise to learn that sugar is actually very beneficial for the skin when it’s applied topically. Sugar contains glycolic acid which dissolves dead skin…plus it exfoliates like a champ. The result? Polished, smooth and radiant skin! I use THIS organic cane sugar. You can also find organic cane sugar at grocery stores in the baking aisle. 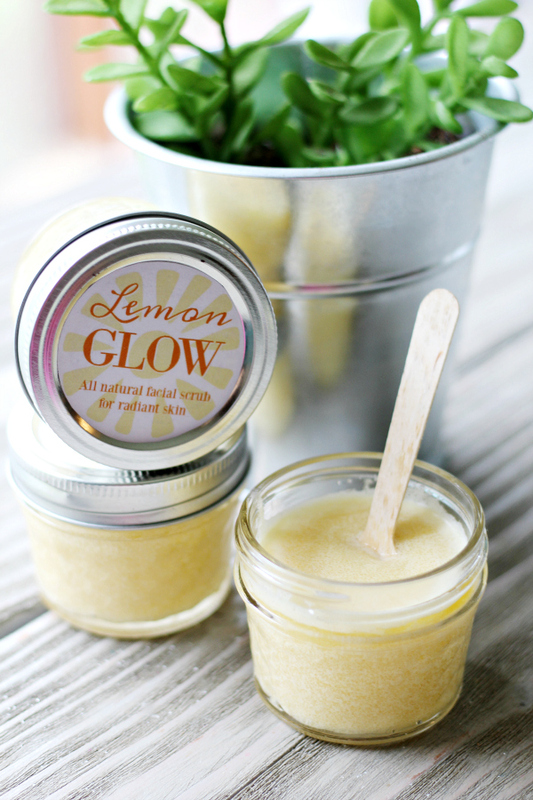 Anti-Aging DIY Lemon Face Scrub for radiant, glowing skin! 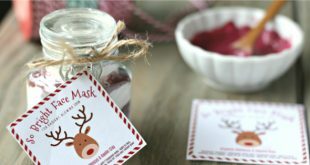 Free printable labels included. Combine all the ingredients together until mixed thoroughly. The mixture should resemble wet sand. Scoop into 2 4-ounce jars. I use THESE jars. Rub a small amount with your fingers in a circular motion all over your face. Rinse and enjoy that beautiful, glowing and smooth skin! Congratulations on the birth of Sam! I read about him in your e-newsletter. He is adorable and looks like a baby Where’s Waldo in the first picture! (and I mean that in the CUTEST possible way!) Way to go, Kelly! Awww, thank you, Bethany!! And yes he does hahaha! Where are you buying your glass jars? I like the size. Thank you. Hi Lin, they are the 4 oz quilted jelly mason jars. I get mine from Amazon (http://amzn.to/2qFesjq) because I live in the boonies, but you should be able to find them at Target, Wal-Mart, etc. Thank you so much. Congrats on new baby. Missed you, Kelly. Delighted to hear you’re back online and have a beautiful bouncing baby boy to enjoy. Congratulations to the whole family! Thank you so much, Kathryn!! Do you use the coffee bean/ coconut oil first, then the lemon scrub? Do you use them on alternating days? Just curious. So glad you are back Kelly. This is truly an amazing exfoliattor and face scrub. Thanks for the great recipe, Mom! It looks like the free lemon EO is cold pressed, not steam distilled. I’ll look into this, Rob and ask to get it fixed. Thanks for letting me know! Hi Kelly, I know the offer was only until 06 May but it seemed the error hadn’t been fixed with the free lemon EO showing as cold pressed instead of steam distilled. Do you know if this offer is going to be available again with the correct lemon EO? This looks amazing Kelly. I can’t wait to try it. Congratulations on your beautiful baby boy! Feb. 17 is a great day to have a baby. It is my daughter’s birthday as well! Enjoy baby Sam, they grow so quickly, but each age brings it’s own wonders. Is it possible to omit the sugar and have this as a moisturizer? I love the idea of a lemon scented moisturizer or night cream. That would be great, Vicki! 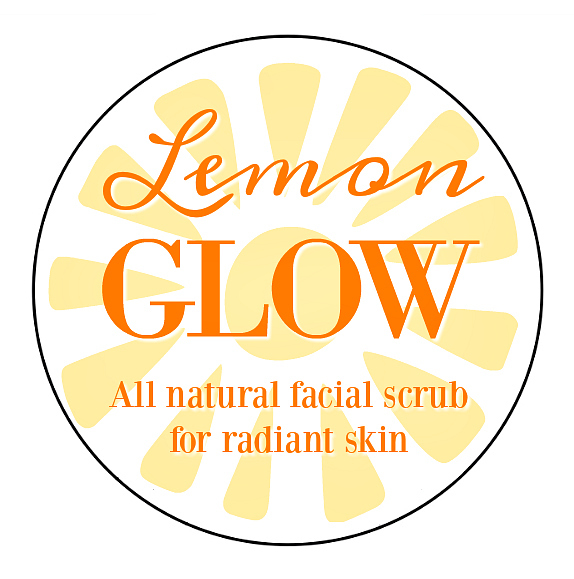 I love all things lemon and a lemon facial oil would be wonderful. It does, Lisa! It will last as long as the expiration date on the oil that you used – typically 1-2 years. 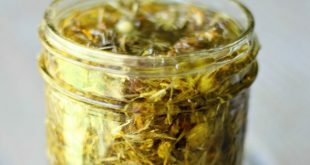 I just ordered the steam distilled lemon oil from Plant Therapy. 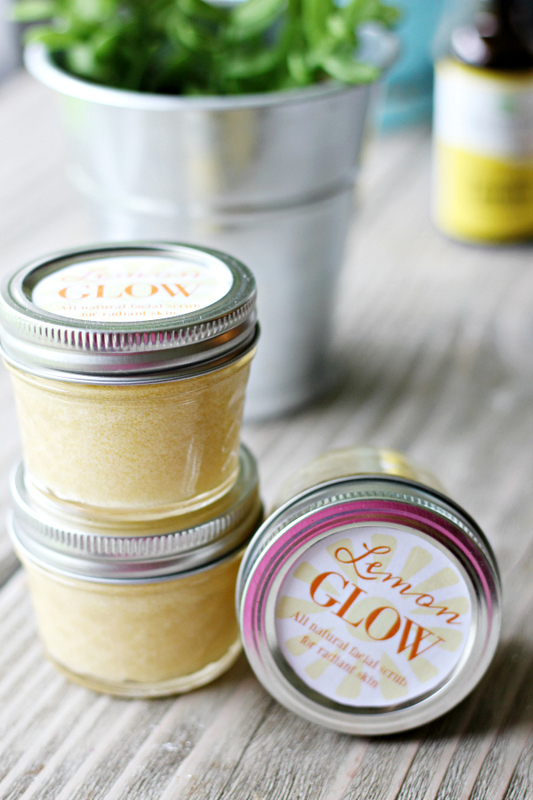 Can’t wait to try your Lemon Glow. You are one of my favorite Bloggers and really missed you. so glad you have a healthy, bouncy baby boy. He looks adorable. Glad you are back and healthy yourself. Thank you so much, Jenny!! What a beautiful baby boy you have. I’m so glad you are back and I can’t wait to read your story. Hugs to you and your family. Thanks so much for the Lemon Glow facial scrub! I am really needing it this spring. Congrats on your baby boy! A new adventure begins. Hi Kelly snd Congratulations on your beautiful baby! I was wondering if you would use this as an all over body scrub or do you have a different recipe for that? This is a great all body, scrub, Kathy! Hi Kelly, Does the Lemon EO have to be steam distilled or can it be cold pressed? How long can it be stored for? Hi Narelle, since there is no water in the recipe, the shelf life is as long as the oil that you used – typically 1 year! Hi Kelly, will give this one a try. 🙂 Have you tried using Lemongrass Oil instead of Lemon? Its antiseptic properties would make it a great alternative. I love lemongrass, Therese! And you are right – it would be a great one to use in this recipe! Hi Kelly. 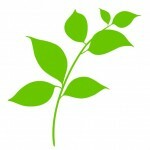 Your blog is fresh and uplifting, just what we all need. I’m wondering if honey may be substituted for the coconut oil in this recipe. We only use high linoleic oils on our skin in our family bc high oleic oils like coconut oil make us break out miserably. 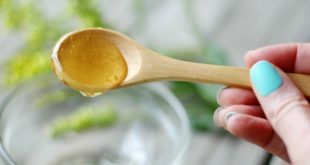 I am sure I could use another high linileic oil like pumpkin seed oil, or double the argan pil, but I am wondering what you think about the use of honey here instead. God bless your family! I love using honey for the skin, Penelope! I think that’s a fantastic idea for a substitute for the coconut oil 🙂 Enjoy! Hey! This looks awesome, how long does it stay good to use for? Within a week or more? This tips seems so amazing. Thank you for sharing this. Hi. What other oil can we use instead of argan oil? Is almond oil a good option and how much quantity? Yes, almond oil is a great substitute and you would use the same quantity as the argan oil 🙂 Enjoy!